The Minerva harness has corset style lacing down the center back with adjustable buckles on the shoulders and waist. 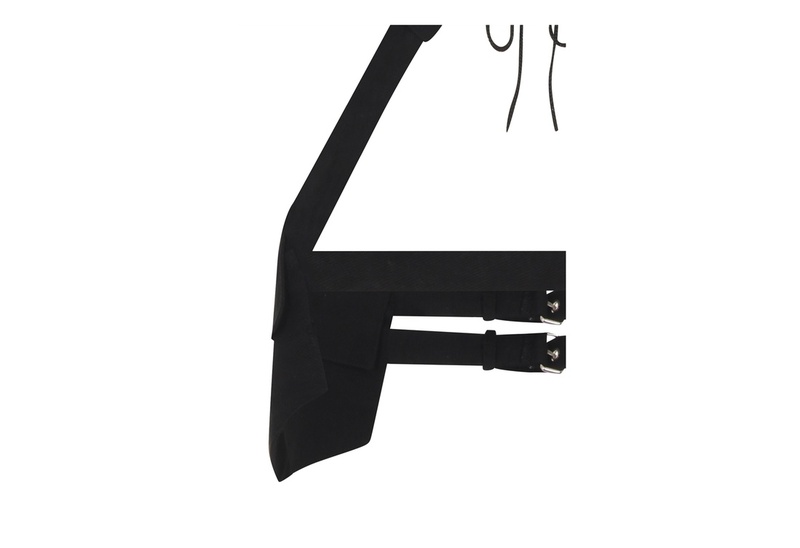 This harness features two press stud fastening pockets on both hips. Love this harness! The only thing I wasn't too excited about was the size of the pockets. They are barely big enough for my Samsung Galaxy S6 and I have somewhat of a hard time fitting my keys on the other side. I bought this item as a tester to see if these guys were legit because I saw a pair of combat boots that I REALLY wanted. I would definitely buy from rivethead again, and am pleased with my product. Good quality materials & sewing. I ordered a size to large but luckily it's adjustable. Looks cool & provides pockets to outfits that dont have them.